Are resources and programming equitably distributed across D.C. schools? Our second class of Youth Interns, a new group of nine students representing seven different schools, wanted to answer this question. They started by mapping their communities identifying where there were challenges and where there were strengths. Most recently, the Youth Interns’ photos were featured in the All City Youth Arts Showcase organized by Words, Beats and Life at the MLK Library. The students learned about CE’s approach to social change and how to tell stories through photos. The Youth Interns work culminated in a research project investigating how the unequal education system impacts youth in D.C. They will be continuing their work throughout the Spring and into the Fall, and then will transition into our advanced Fellowship Program. The mainstream narrative tells us that our schools are more equal and integrated than ever before. However when students from across the District come together, the gulf between their educational experiences becomes clear. Our Youth Interns are committed to advocating for a more just and equitable school system in Washington, D.C. The Youth Internship will begin accepting applications for the fall program in September. Sign up here to be notified when it becomes available. Do young people really take advantage of the opportunities offered to them? Are they interested in themselves or the collective? The Youth Internship is a 8-week in-house program comprised of youth from all over the city. Youth Interns learn the basics of using photography to create social change and how varying forms of oppression intersect and affect their lives. Upon completion of the program, they are encouraged to join the Fellowship. 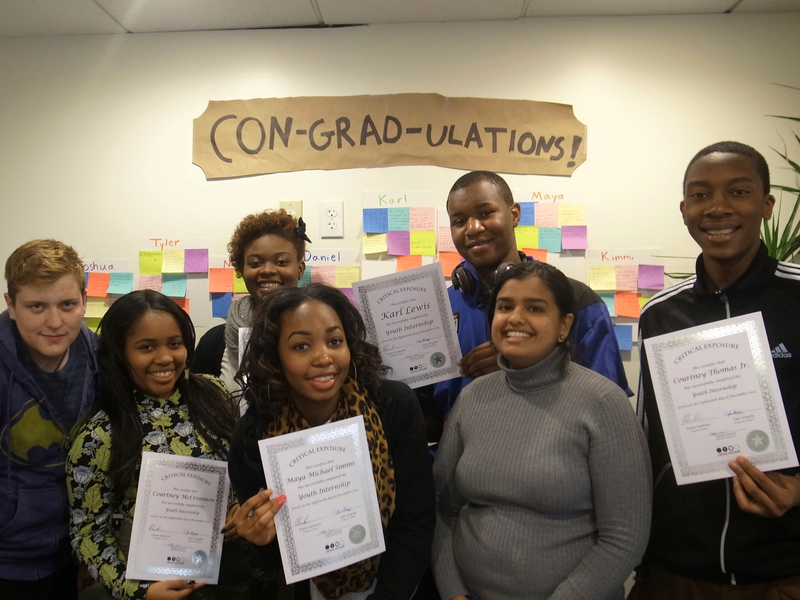 Critical Exposure’s first-ever Youth Internship program included eight high school students from all over the city. 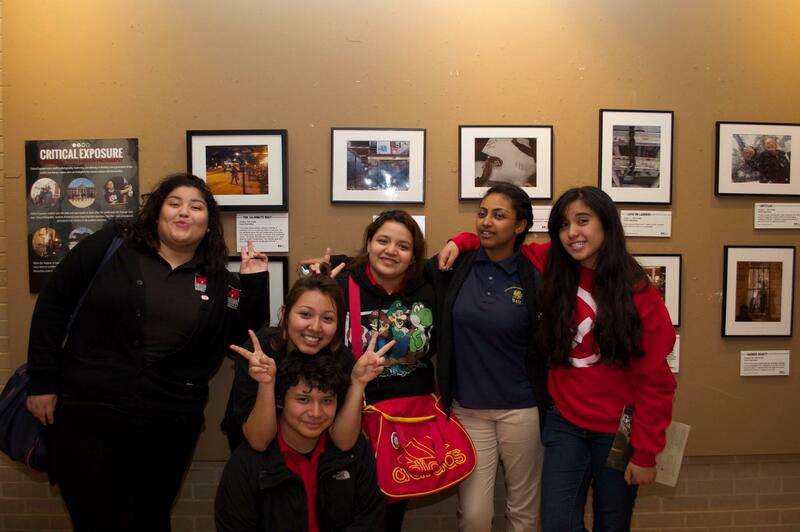 Youth Interns researched, photographed, and prepared presentations around street harassment and gentrification. They then facilitated workshops around these two issues for a Critical Exposure students and staff. Partnering with Critical Exposure allowed us to further develop the creative skills of the students and utilize those skills to provide greater context to the issues.